The tourism industry is positioning the Philippines as a medical and healthcare destination for Middle Eastern visitors who have been showing preference for Southeast Asia, particularly the Philippines. Tourism Secretary Robert Ace Durano said the move was timely, as the Philippines had won the bid for hosting the 2009 World Health Tourism Congress in March, the organizer of which is based in Dubai. Durano said the annual gathering would be for the fourth time and for the first time outside Europe. "The Philippines' being the first country in Asia Pacific to serve as a venue for this prestigious global event marks our serious effort to be positioned as a global health and wellness destination," he said. "The 2009 WHTC, which will be held at the Sofitel Philippine Plaza Manila on March 26-28, will bring hundreds of leading health and wellness tourism players — both buyers and sellers — from all over the world," he added. 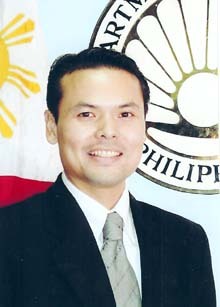 Durano said the Philippines "won the privilege to host it after some fervent negotiations." After the first congress in Germany in 2006, Cyprus hosted the second in 2007 and Spain was the venue for this year's event. "Local participating health and wellness industry players will have the opportunity to meet the world's best qualified corporate and institutional buyers in an exclusively business environment where only those who are invited can attend," Durano said. "As such, they will have the undivided attention of their potential customers." Hadi Malaeb, managing partner of congress organizer Aura International Dubai, said the Philippines won the bid for hosting the WHTC 2009 partly because of an emerging trend in the Middle East to move to Southeast Asia, particularly the Philippines. Malaeb said 92,000 medical tourists from the United Arab Emirates came to the Philippines last year, compared with 60,000 who went to Thailand. He said a 2006 Globalysis study assessed the global health and wellness tourism industry at $40 billion, which is projected to grow to $60 billion in 2012. "The Asian market alone consists of 1.5 million medical tourists spending a daily average of $362 compared with the $144 of regular inbound visitors," Malaeb said. Invited to the WHTC — which focuses on sports medicine, wellness, medical and cosmetic treatments — are hotels, spas and health resorts, airlines and air ambulance companies, medical services agents, inbound tour operators specializing in health tourism, and general and specialist hospitals and clinics.